If you are fortunate enough to be able to join the Sydney Quilt Show festivities at Darling Harbour, please remember to bring along your camera. Due to lack of access to relevant expertise, the Guild will not be producing a CD of quilt show images for sale this year. 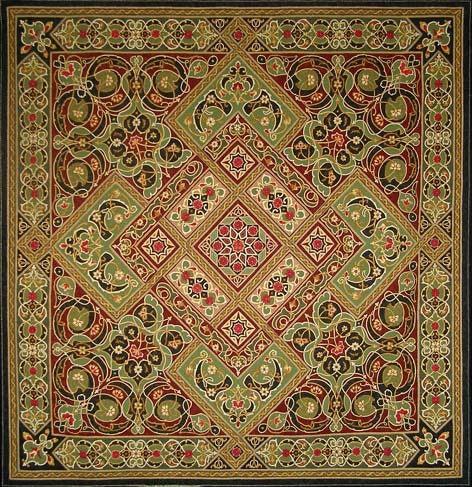 However, images of prize winning quilts are available on the Guild's website gallery. 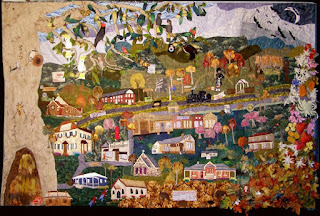 A gallery of prize winning quilts has been posted on the guild's website. I hope you can join us at the Sydney Quilt Show - don't forget to purchase a catalogue to get your voting slip for Viewer's Choice. Alternatively, you are welcome to leave a comment on this blog. In addition, you can purchase a special edition silver thimble pin - $4 each or 3 for $10. This recipe was requested by the Tumbarumba 2007 Away Meeting trippers and kindly provided by Margaret Stephenson (who got it from Lynette Thrift, who found it in New Idea). * May be topped with almonds before baking. * When taken out of the oven, gently pour over sherry. The Sydney Quilt Study Group has arranged for a special guided talk of the Pe-ac-ed with Love exhibition at the Sydney Quilt Show. See the SQSG blog for more details. And don't forget that 20 June is D-day for delivering your exhibition quilts to your Drop Off Lady! 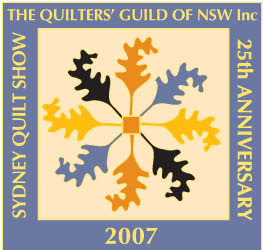 The Sydney Quilt Show is a source of inspiration for many a would-be quiltmaker including children. The weekend "Kidskills" program is a free activity aimed at introducing children to the delights of colour, fabric and block designs. Junior quiltmaker Taylor Brown participated in Kidskills at a previous quilt show and has gone on to make prize winning quilts. Winding Ways with Lynn Hewitt: Sunday 18 November - $66 + $20 for set of acrylic templates if required. Bookings can be made by telephone and credit card payment. Alternatively, complete your workshop booking form and send to the office by fax or mail. Workshops are available to members only so why don't you join today?! The Events Calendar in the side bar has recently been updated. 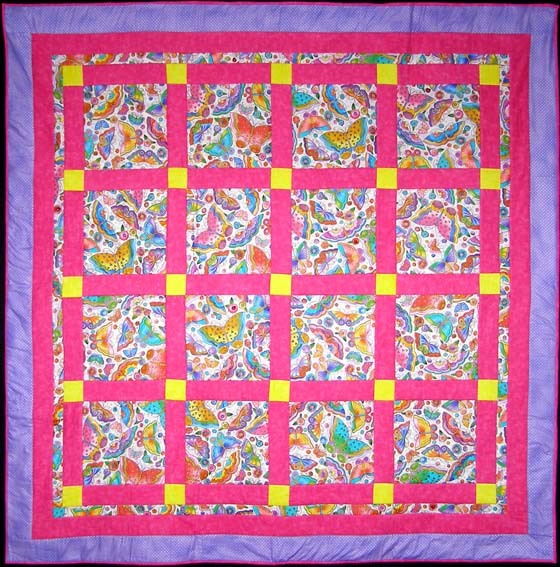 Remember, if there is a quilting event that you would like to have added to the calendar, or included in the Guild newsletter, please send the details for the Guild Webmaster or Template Editor for consideration. Come along for a sneak preview of the prize winning calendar quilts. New and prospective members welcome! Membership fees be rising on 1 August 2007. Pay your renewal by 31 July 2007 and only pay the current fees. Fees can be paid at the Quilt Show or through the Guild office and you can download a membership form from the Guild website. Payment can be made by cheque, money order, Mastercard or Visa. Please add $1.50 if paying by credit card. Freshly Baked Bread Rolls and Tea & Coffee are included. The price of the three course menu is $55 (not including beverages). Click here for the payment form that can be faxed or mailed to the Guild Office.